You may know King Gyan as a standout Ghanaian footballer but we know him as a changemaker and member of our Leaders: Africa program who’s inspiring the next generation through sport. After 10 years of professional football in Europe he’s back in Ghana working at the Right to Dream Academy to contribute to social and economic change on the African continent. Take a glance at King’s work as a coach and mentor for boys and young men in his community as well as his experience in the Leaders: Africa program. Though he no longer plays professionally, King still dedicates himself to the pitch, coaching young Ghanaians in football while running the Right to Dream Academy’s curriculum. 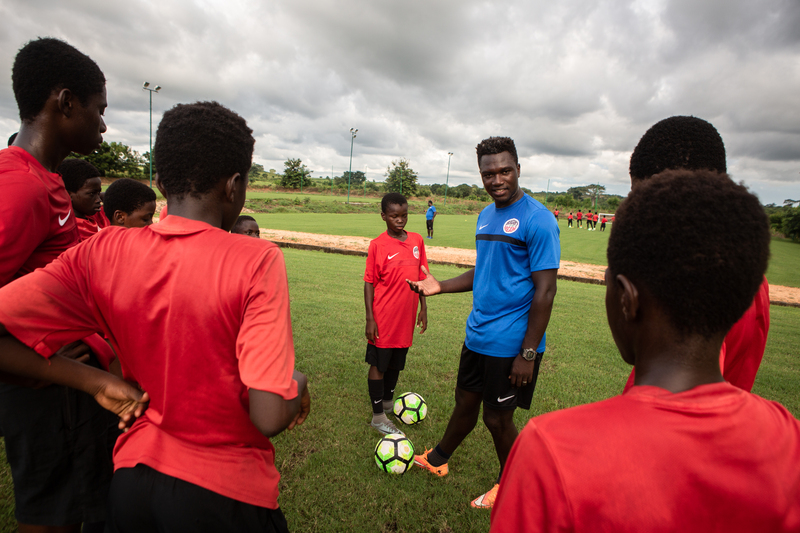 A natural fit for the Leaders: Africa program, King works with student-athletes to turn them into the future leaders who will shape the future of the African continent—on and off the field. —King Gyan on the impact of the Leaders: Africa program. King is determined to change the paradigm in his community, a place where people have to “depend on miracles" and he hopes to strengthen the systems that allow people to realize their dreams.